Despite Snap Inc.'s 'Spectacles' generating a lot of hype - due, in no small part, to their creative marketing tactics - Snap CEO Evan Spiegel has this week announced that they've only sold around 150,000 pairs of the camera-enabled glasses. That's still a lot, of course, but when we're talking about an app that has more than 173 million people logging on every day, it's only a very small fraction of their potential market. Spiegel made the announcement at the Vanity Fair Establishment Summit, where he also discussed the company's future, and their decision to go public - which, despite seeing declines since the shares debuted, Spiegel believes was still the right move. The company's in an interesting place right now. 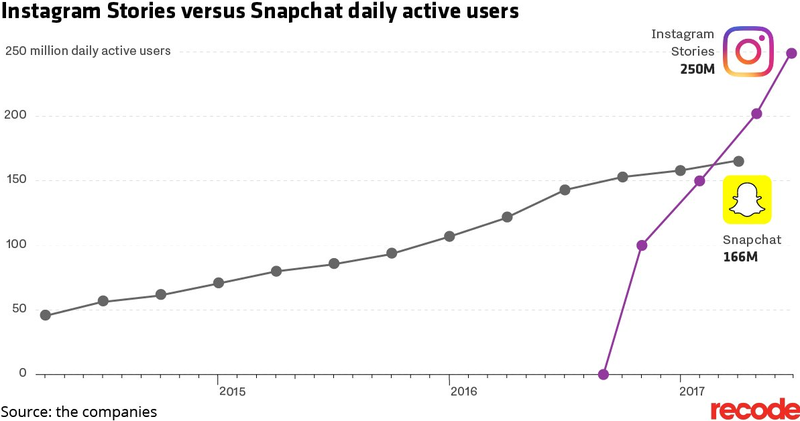 On one hand, they're up against it, with Facebook looking to press their advantage and limit Snapchat's growth at every turn. And for the most part, it does seem like Facebook is succeeding - Snapchat's growth numbers have slowed significantly since the introduction of Instagram Stories, while more and more reports suggest that platform influencers are switching from Snap to Instagram, due to increased reach and opportunity. Speculation about 'Spectacles v2.0' has been floating around for months, with many (including myself) reporting that Snap's likely looking to introduce an augmented reality overlay element, which would enable users to see what they can through their Snapchat camera via their Spectacles. 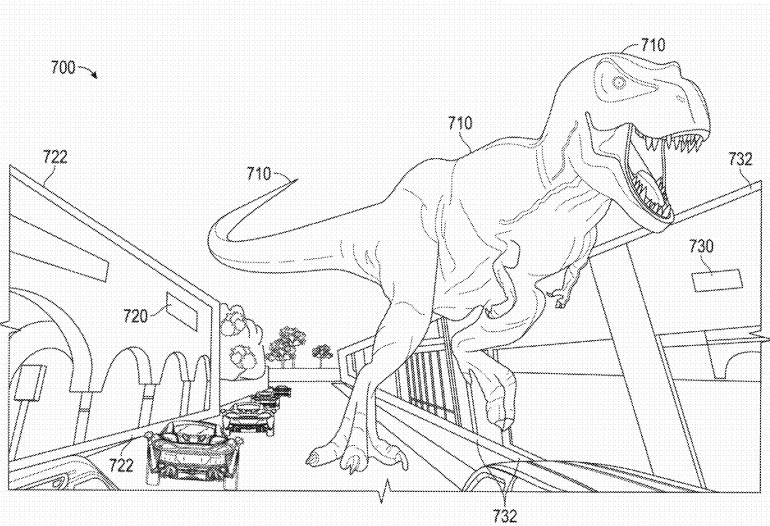 There are various hints towards this - back in May, Mashable located a patent which Snap had lodged for an AR-enabled device that would enable the user to overlay the real world with virtual objects - like a giant t-rex. Snap's also been looking to develop new ad products which would align with this AR-view approach, while they also purchased a development lab in China late last year. Having a dev lab in China, where Spectacles are made, might enable them to keep their plans more under wraps - in fact, TechCrunch reported in June that few of Snap's 1,800 staff are aware of the details of Spectacles' development, though they are sure a new version is coming. AR-enabled spectacles would be a huge step - and really, when you look at Snap's latest additions like World Lenses and their latest Snap Art project, it's clear to see that the app's functionality is gearing towards this next wearable phase. Facebook CEO Mark Zuckerberg noted back in April that high-quality AR-enabled glasses were still 5-7 years away from being a reality, but maybe, Snap can move faster than that - and given they've already delivered a popular wearable product, they may be better placed to deliver than other providers. In addition to this, Snap Inc. has also been working with both Apple and Google on smaller projects, which seem fairly minor, but the fact that they're working together at all could point to something more. "Snapchat for the Pixelbook will be optimized for the laptop's 12.3-inch quad HD display, so you won't have to squint to see a tiny rectangle on your screen. That could mean that there'll be a version of Snapchat available on desktop PCs. Will that matter? Maybe not - but it could give the app opportunities to create more immersive experiences, and broaden their market reach by connecting with users in new ways. And again, it's interesting to note the partnership. There's a reason why both Google and Apple are looking to work with Speigel and Co. There may be more to those partnerships than it seems. We'll learn more about how the company is placed soon, when Snap announces its Q3 numbers, but it is interesting to note the various developments and projects, and to speculate what they could mean. Facebook seems to be slowly squeezing the life out of Snap, but I wouldn't count it out just yet. Top image credit: Snap Inc.